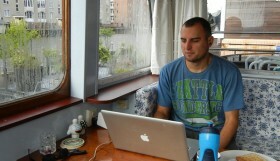 When I was getting ready to launch my travel blog, I had a really tough time picking a name for the blog. 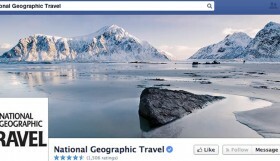 In reality, the name of a travel blog isn’t as important as you might think. It isn’t as important as quality writing, a well-designed site, a good brand, and a lot of content. However, your name is still a big piece of the puzzle, and should be something you like and can live with. To come up with my blog’s name, I did an exercise to come up with as many awesome travel blog names as possible and then slowly narrowed it down to my current name. 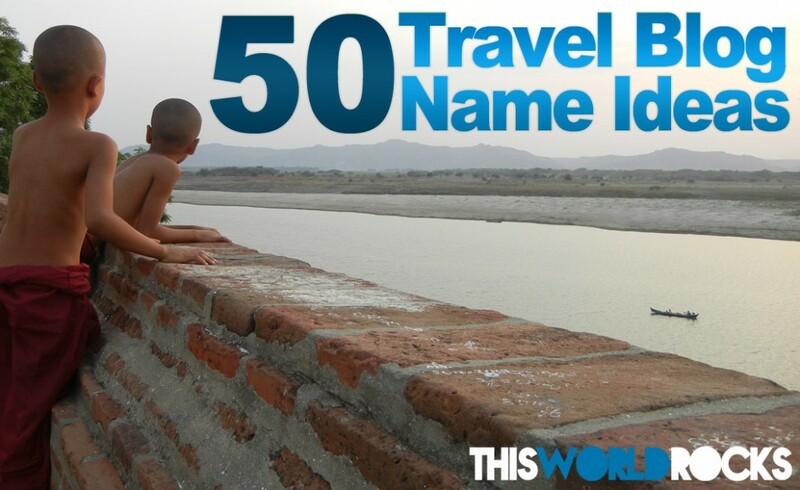 I thought I would share this list with any future travel bloggers who are currently brainstorming for a name. Not all of these were from my original list, as I have added more since, so go ahead and use this list as a starting point for your own brainstorming. UPDATE: Feel free to use any of these names for your own travel blog. People have been emailing me a lot asking if they can use a name on the list. You don’t need my permission to use any of these names since I don’t own any of them. I also don’t own any of the domain names, so if it’s already taken there isn’t anything I can do. Good luck in your search! 1. Out of the Office – For a former cubicle worker who wants to quit and to put up an indefinite email out of office notification. 2. Binge Travelers – BingeTravelers.com is available too, which is a great domain. 3. Tweet Pray Love – The digital version of famous book/movie. Thanks to @AndyMonfre for this one! 5. Forks In The Road – For a traveler who loves food and decisions! 7. Navigatio – No, I didn’t forget the N, Navigatio is actually Latin for Voyage. 9. Tray Tables & Seat Backs – Travel bloggers can recite this entire speech by memory. 13. Cats and Dogs Living Together – Are you planning on having chaotic travels? Here’s a salute to Bill Murray’s description of chaos in Ghostbusters. 15. Someday This Day – Make your own meaning of it. 16. Showering in the Ocean – For the beach lover. 17. Bathing in the Ocean – Variation of above. 18. Both Paths – For a traveler like us who likes mixing in both the beaten path and unbeaten path. 20. The Long and Winding – One of my favorite Beatles songs. 21. Cark Muban – Mark Cuban once did a gap year, so pay homage to him by creating his alter ego and doing your own trip. 22. All Systems Whoa – There are a lot of names you can create by changing the word “go” to “whoa” in popular catch phrases. 27. One Point Five Billion Inches – The circumference of the Earth is 1.5 billion inches. 30. Turn Turn Turn – Referring to the constant turning while traveling, both good turns and bad. 32. Cold Turkey – This could be for a blogger who had to quit something addictive in order to travel. i.e. shopping, alcohol, drugs, video games, over-working, etc. 33. 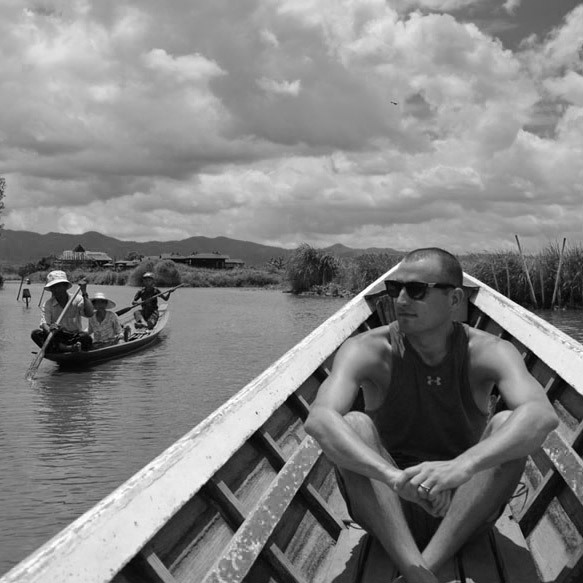 Like Nothing I’ve Seen – A blog about seeing and experiencing new, exotic adventures. 35. Off the Face – Basically letting people know you’ve fallen(jumped) off the face of the Earth. 36. Reset ReBoot Record – Someone who left home to get a fresh start, and is recording the progress in the blog. You could do a cool logo with the three R’s. 37. Re* Re* Record – Replace the first two “re”-words with any two words on this list. Find two words that fit your situation the best. 38. One Big Rock – That’s all Earth is right? 39. Off and Running – For all the travel runners out there. 41. Text Me Later – I’m gone for a while. 42. My Final Frontier – Star trek fan? 43. Each City a Rhapsody – For the musically inclined. 44. Jet Set Brunette – Sorry blondes, this one isn’t for you. 45. Redefined Timeline – Define the change of pace and scenery in your life. 46. Every Corner a Story – Awesome stories are everywhere you look, all over the globe. 47. Miles and Smiles Away – Miles, and miles, and miles, and miles, away…. 50. No Particular Place to Go – For the wandering blogger. 53. Three If By Sky – modern twist on an old classic, nobody suspected the British of coming through the air. 56. Bloggers Without Borders – give back to the world and do some pro bono blogging. 59. The Planeteers – which one are you? Earth, wind, water, fire, or heart? Put your ideas in the comments below and I’ll add them to the list along with your name and site. Dan	is the founding traveler of This World Rocks. He enjoys writing in the present tense, is an avid sports fan, former NBA dunk team member, aspiring videographer, and a WWII & Civil War history nerd. Some times I feel like I should title something I write “So This is How I Die,” not so much as a statement, but more as a realization. I’m not sure I can be truly successful at conveying the correct intonation, however. Nice! I added it to the list. Just wanted to let you know I’ve claimed “Off the Face”. My blog is in the works !! Hey, just wanted to let you know I used your name for my blog. but IT’S STILL UNDER CONSTRUCTION. Thanks so much for all the great ideas. I was so stuck. Nice! I just updated the list with a link to your site. Good luck! Going to use LikeNothingIveSeen.com. Working on the site now. Thanks Natasha! I updated the list to included that name as taken. Sounds good! I updated the page. This is also one of my favorites! It is simply awesome. I would like to take losing sight of shore. Actually, can I change that to No Particular Place to Go. Sorry about that and thanks! Thanks Mel! I updated the list. not .com for now, just as a wordpress url. Can I take number 8?? Of course! Let me know when your site is up and I will update the article. I’m making a blog to host some of my travel writing stories and was thinking of using “Hostel Takeover” or “So This is How I Die”. Would that be ok with you guys and do you know if anyone has taken either of these? They are both free as far as we know, go for either. Thanks for reading! Fascinating, well written and well thought of blog, guys! Thanks for connecting with us on Twitter! Keep up the great work and travel safe! Thanks for the additional names Tina! I’ll add them to the list. This post also really helped me with the brainstorming process. I ultimately decided on Wild Wanderess, but I came up with some others and wanted to share. All of them are currently available. Thanks! I added them to the list. Hey this is an awesome list! I am using “Tweet Pray Love” if that’s okay! Of course. Send a link and I can add that as well. Thanks! Lauren, I know one other blogger had said they were going to be using this name, but if you aren’t using the domain, I don’t seen any issues with you also using it as a site title. Good luck! I have started a travel blog called “The Binge Travellers” thanks to your post. Although it is the british spelling, if someone tried the same and used the american spelling, it will easily be confused with my travel blog. So far, I have been very lucky since there are no sites under similar versions of this name (eg Binge Traveller/Traveler). That was my favorite one! I’m glad someone will be finally using it. Good luck! I was looking through your names, and I have #62 on the reader added list. Thanks Niki. I updated the article! Hey I just took Miles and Smiles Away! Thank you so much! Thank you for the great idea! Text me later has already been taken, however we have settled with textmelaterxo. Our blog is a travel blog, and we will be starting with a post about our upcoming volunteering experience in Sri Lanka! Thank you! Thanks guys, I updated the list! I love Humofthe earth and Each city a Rhapsody. Can’t decide!? I love the sound of it (musical inclination) can you people suggest more sound names albeit shorter? I am looking to start an on the road musical travel blog. You know events, people, places, food, music and general storytelling. Can I use “Out of the office” for my blog? Hi, thanks for the idea I took one big rock. Its awesome. I’ll be grabbing navigatio as a wordpress url for now but I’m hoping to eventually have the .ca as well. A fantastic list. Thanks for the inspo! Any recommendations on what to do if the url for the name you want is available, but some of the social media handles are taken? Trying to come up with a travel blog name that is completely available on all platforms but I’m stuck! I had that issue with a couple of social media sites. I usually added the word “travel” to the end of the handle. For example, on YouTube, I’m ThisWorldRocksTravel. If “travel” is too long, you can always try adding or removing the word “the” at the beginning of some names, as well as the word “blog” at the end. There are a lot of small words to end to the beginning and end that seem natural. I totally stole “One Big Rock!” Thanks for the awesome idea! I got the name “Travel Like a Boss” for my blog. I’ve posted some of my travels on it. Check it out. Could I take rooftops and flipflops? It’s all yours! Good luck! Hey, I would love to use “Out of the Office” name. I am trying to get away from a rat race, and think this would be very appropriate. nevermind. looks like the name has been taken already. thank you! I am taking “nowhere particular”, i like it! I would love Forks in the Road! Thanks for all the suggestions. I’m still looking for a name for my volunteering tourism blog. can you help me? Hi! Can we use “WE R Out of the Office”? Hi! I would like to use Out of the office but modify it a little. Hey there! Thanks to your site you gave me the idea for myfinalfrontier.com so i’ve registered and started that one! U really make my life easier Thanks a lot. Can I use broken compass for my website .? can i use the name milesandsmiles for my new blog? I was going to see if I was able to use the name, Nowhere In Particular, for my blog? I just got Huggingtheroad.com #68, complete site forthcoming. My best friend and I are going on a motorcycle trip next year for a month or longer, not really sure what to expect, our goal is to make up the trip, as we go. we plan to ride through most of the continental US. Thanks for your help, I’ll make sure to mention and link to your site. Thanks for the list of wonderful blog names. Could I use either corners of the world or every corner a story. Thanks. Thanks for the ideas I have taken up life in a bag. The website is currently under construction. I would like this domain do be mine! Haha My wifi is glitch in right now, but I will definitely start as soon as possible. Reserve please!?? Great list. Is there a reason why you dont include numbers in any of the names? I have a 4 in ours because there is four of us and the world is for families. Is that bad? Thanks for the list! This is something I’ve wanted to do for a while but never really got around to so I appreciate all the inspiration I can get. If Corners of the World is still available, I’d love to take it so I can get started! Thank you for those amazing ideas. I wanna use the 25th one. Well my blog site is still under construction. Hey! I am picking up “Forks ‘on’ the road” from your suggestion list, just changing in by on. Thank you so much! May I use “Corners of the World” ? I love this – so many great ideas…. I’m currently trying to think of a new name for my blog. It’s currently called La Vida Lima, as I’m living in Lima, Peru, but I don’t want it to be geographically bound when I leave Lima. It’s still very new, so I’m going to change it. Thanks a lot for the ideas. I am claiming “Out of the Office” – coming soon! I hope you don’t mind but I’ve taken the corners of the earth (not quite corners of the world, but so close!). Website under construction, but can’t wait to get to blogging!! Hi I am planning on taking the title “forks in the road”, thanks Dan! Great input! ! Thanks Dan! Every Corner of the story. Will use this name for my blog on insta. Every Corner a story. Will use this name for my blog on insta. I’ve used Gypsy Girl and a name not listed above, FlipFloppinAround. I choose to take “someday this day”? I am planning to use Navigatio. Please let me know if it is available? hi. I’d like to use the Redefined Timeline. If it is still available. Im using “Off and Running” for my new blog. Mind if I use corners od the world ? It isn’t taken, I just updated the list. Go ahead and use it, and good luck with your blog! woody world packer is the name of our website about travel, photography, diy, lifestyle and expat life. Your blog is so knowledgeable, really it”s a good content to gain idea. “cold turkey” and “salt of the earth” is catchy name. One of this i surely use for my next blog. Eagerly waiting for your next blog. Travellers Wonder is also can be listed here.